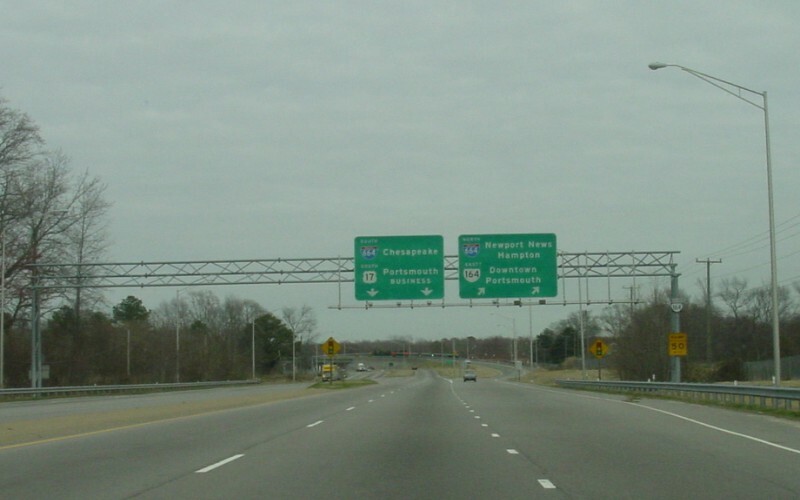 The VA 164 "Western Freeway" begins on US 17 just west of I-664. 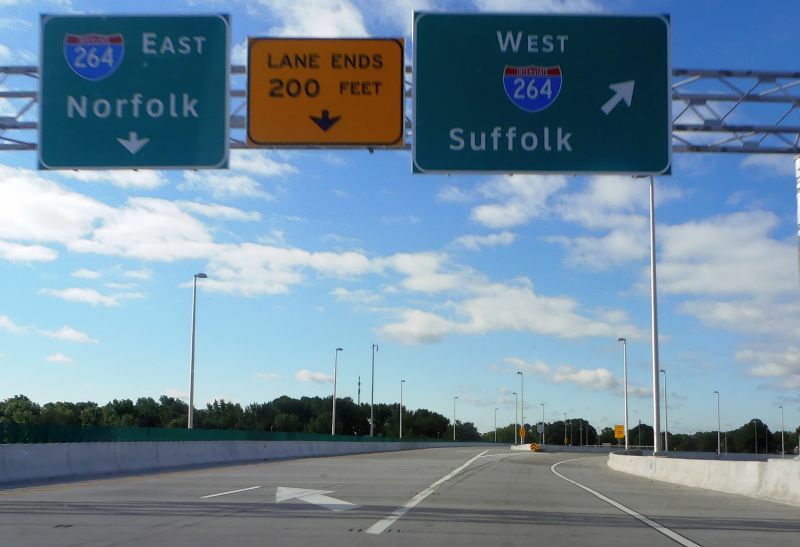 The freeway was built in phases beginning in the mid-70s. 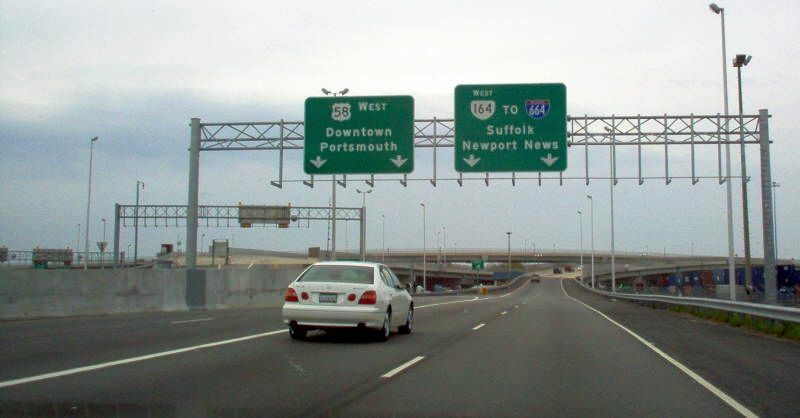 The final leg, connecting the freeway to US 58 near the Midtown Tunnel (the "Pinners Point Interchange"), was under construction at this point with some interchange ramps open as of early 2005. Photo by Adam Froehlig, taken March 15, 2003. 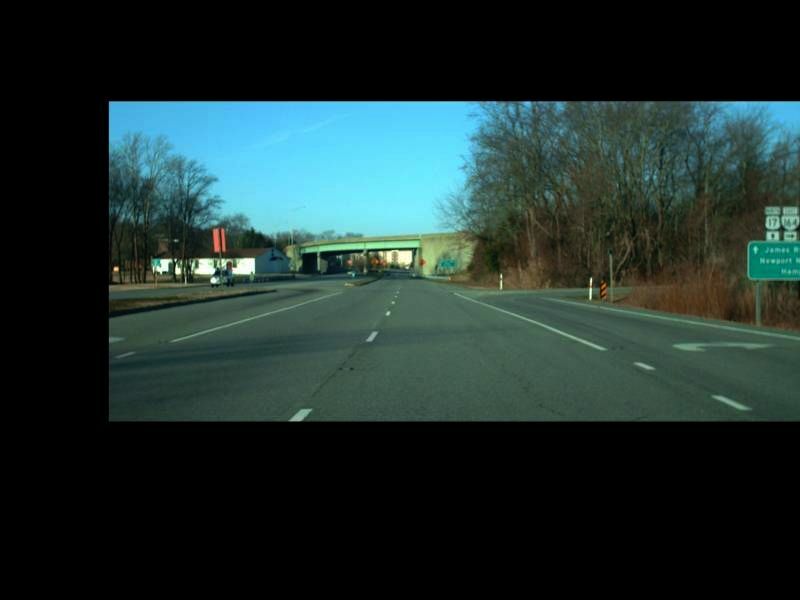 This is on US 17 north approaching VA 164. Photo by Mapmikey, taken March 6, 2010. 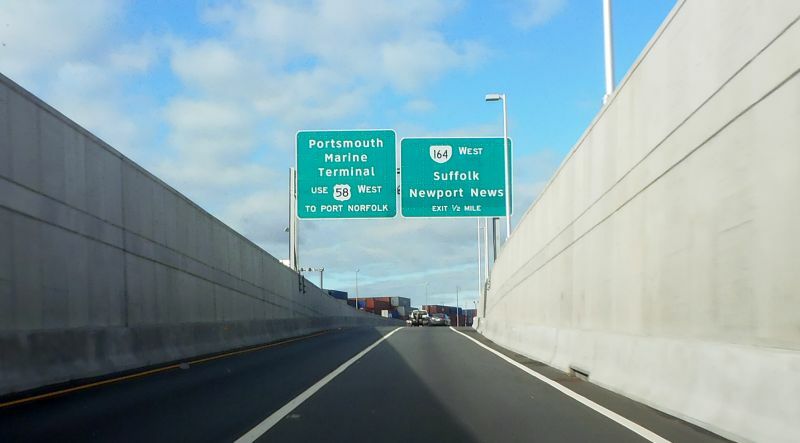 After VA 164 west meets US 17 northbound, there is this ENDS assembly. Photo by Mapmikey/Adam Froehlig, taken April 7, 2006. 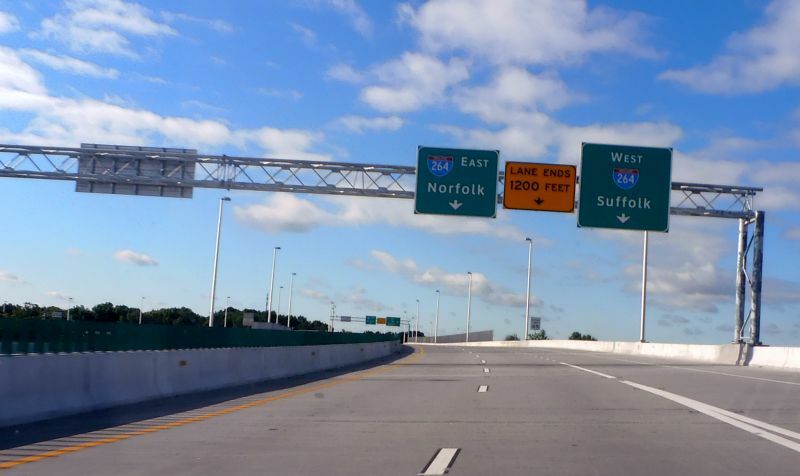 VA 164 was extended to I-264 in late 2016. 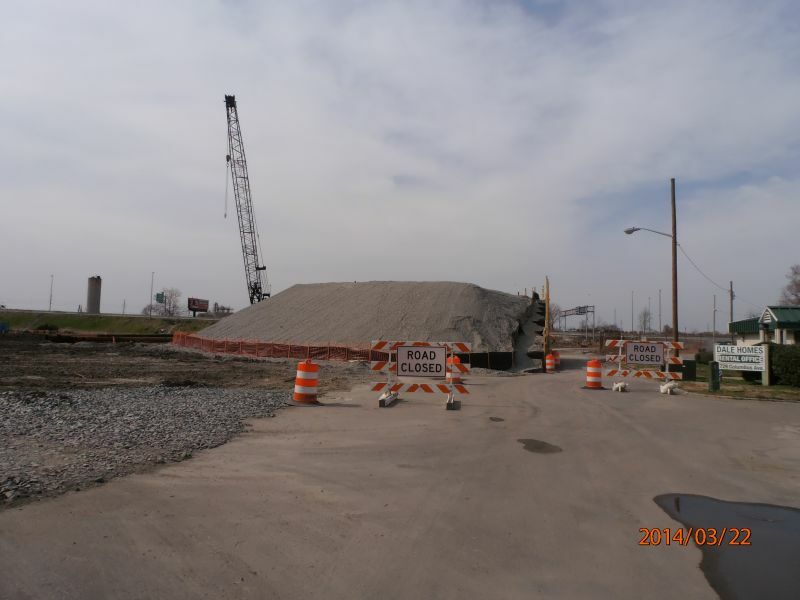 Here is a photo from just south of I-264 looking at VA 164's future endpoint while under construction. Photo by Mapmikey, taken March 22, 2014. VA 164 approaching I-264. Photo by Mapmikey, taken May 6, 2017. VA 164 at I-264. 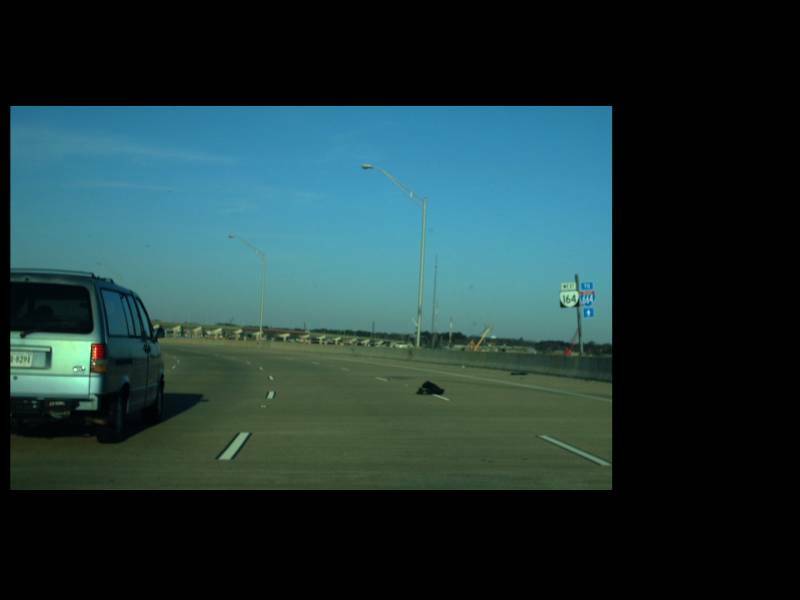 If you look closely there is an END VA 164 shield where the ramps split. Photo by Mapmikey, taken May 6, 2017. 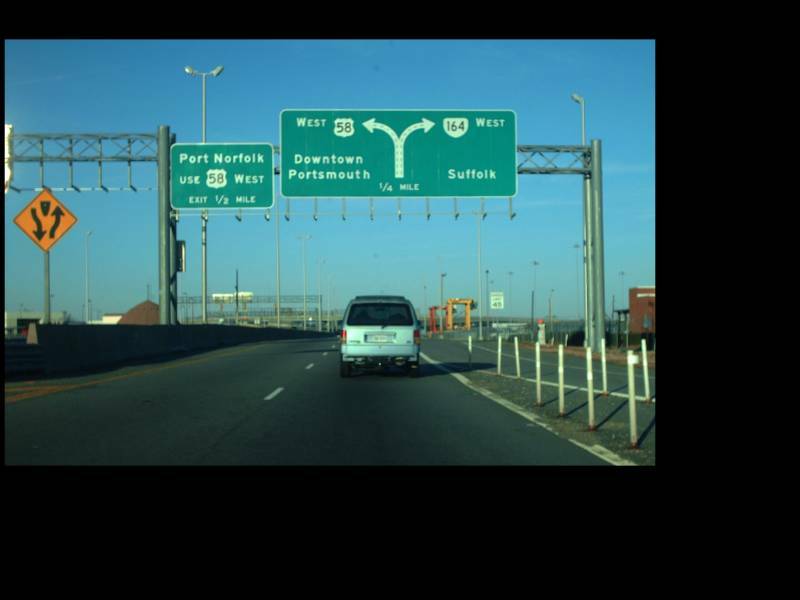 US 58 west after leaving the original tube of the Midtown Tunnel. Photo by Mapmikey, taken March 6, 2010. Here is the same view leaving the new tube of the Midtown Tunnel. Photo by Mapmikey, taken May 6, 2017. US 58 westbound at VA 164. Photo by Mapmikey/Adam Froehlig, taken April 7, 2006. VA 164 approaching US 58. VA 164 ended at US 58 from 2004-16. Photo by Mapmikey/Adam Froehlig, taken April 7, 2006. VA 164 leaving US 58 on its way across Western Branch. Photo by Mapmikey, taken March 6, 2010.